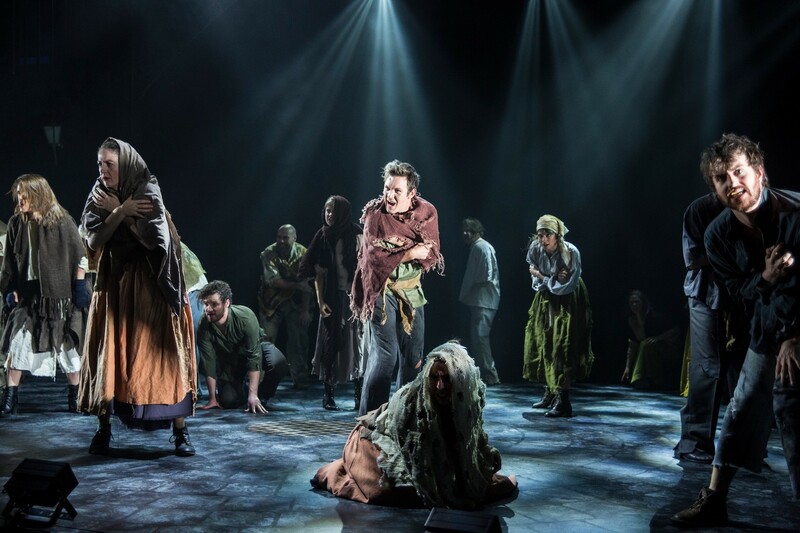 Insightful direction and splendid performances balance the magnificent with the moving as musical theatre workhorse Les Misérables lives on for one day more. OSMaD celebrates ten years by returning to the show that started it all back in 2008. Now established as an exacting company that consistently produces high quality work, OSMaD has attracted an outstanding cast and expert creative team to stage a new production of Les Misérablesthat is a pleasure to behold. 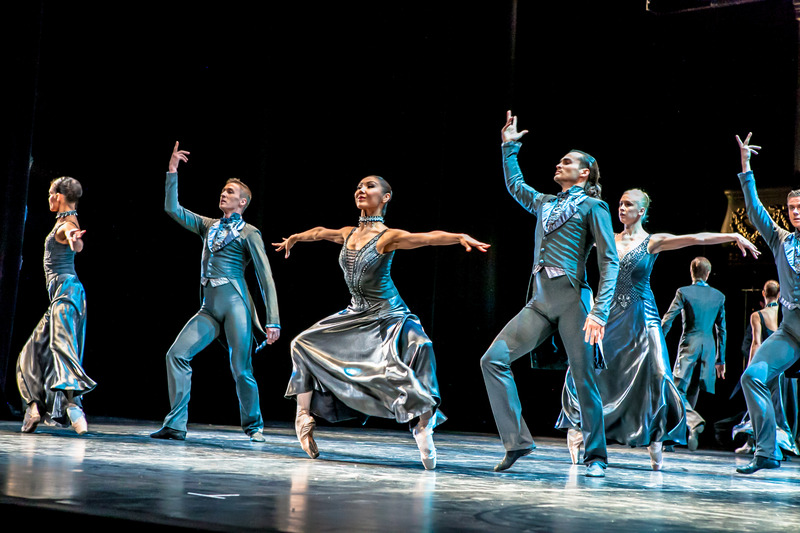 Director Richard Perdriau helms a production that is ostensibly traditional, and yet the performance is richly coloured by myriad details that result from his carefully considered direction. Small moments such as the housekeeper’s reaction to the Bishop giving Valjean the silver candlesticks, Mme Thénardier’s thought process when Valjean arrives to collect young Cosette and Eponine’s stolen kiss of Marius before her dying breath all add interest for repeat attenders and clarity for newcomers. Also serving as set designer, Perdriau makes excellent use of the capacious stage at Geoffrey McComas Theatre, drawing the eye to key characters as the story flows apace. Beneath a mighty bluestone arch, furniture is whipped on and off to conjure the numerous scenes with deft simplicity. 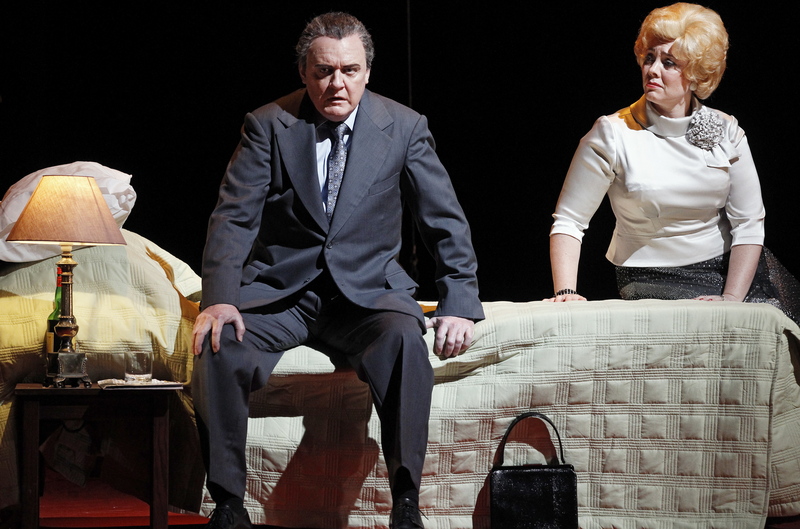 There seems a closer connection between characters and audience in this production, brought about by a combination of the raked auditorium bringing the audience to eye level with the actors and Tom Willis’ lighting allowing the cast to actually be seen. In a unique touch, the barricade is not completely filled in, allowing the audience to see through when little Gavroche crosses to pilfer ammunition from dead soldiers. Gavroche’s brave return to deliver said ammunition before succumbing to gunfire injuries is a beautifully poignant moment. Willis and Perdriau deliver a stunning static silhouette scene after the climax of “The Battle,” with a further impactful moment coming during Marius’ “Empty Chairs at Empty Tables,” when the student-laden barricade appears in a magically nostalgic glow. Musical director Mal Fawcett presides over a wonderfully integrated musical performance, conducting 19 musicians and 35 singers with unwavering precision. Such is Fawcett’s control that if ever a beat strays out of a place it is corrected by the next bar. The large open orchestra pit gives a sense of the operatic, adding to the quality on show. Both Fawcett and Perdriau are well served by having a larger cast than can be afforded in a professional production. Vocal coach Samantha U’Ren has prepared vocal harmonies and dynamics to a superb standard. Excellent sound design, by Marcello Lo Ricco and Steve Cooke,allows every note to be heard clearly without swamping the audience with volume. Choreographer Louisa Mitchell further enlivens proceedings with a little more movement than is usually seen in this show. The chorus sections of “Master of the House” are sped up and accompanied by stylised tankard choreography. Dancing at “The Wedding” involves fascinating patterns, and yet audience attention can still remain on the gatecrashing Thénardiers. 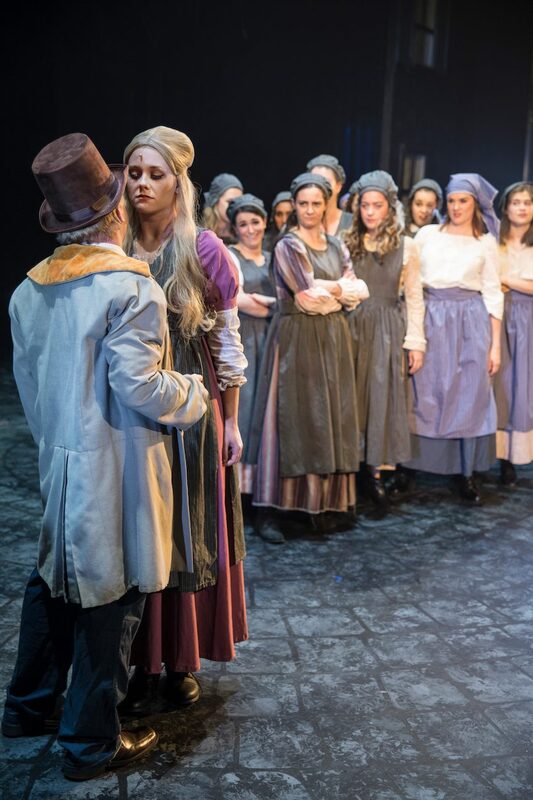 At first glance, costume designer Josh Nien chiefly uses shades of grey, but closer inspection reveals clever use of signature colours, such as Fantine’s rose pink dress, Mme Thenardier’s olive green skirt, and Eponine’s rust coloured cap. 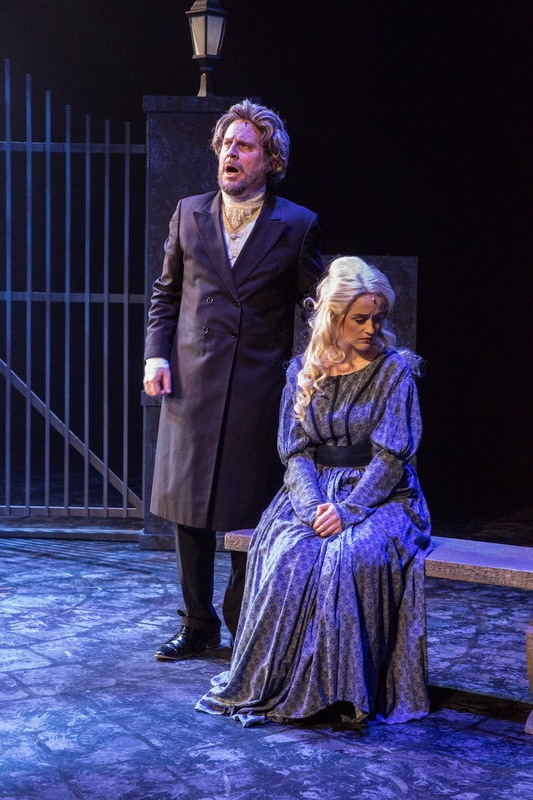 A lovely effect is achieved by having adult Cosette in basically the same wig as her mother, Fantine. Costuming is impressively extensive, especially given the large cast, and adds to the overall quality without drawing undue attention. In the role he was born to play, Richard Thomas is an outstanding Jean Valjean. More than a rich, powerful tenor voice, it is the layers of maturity that Thomas brings to the role that are his real strength. Thomas maintains a level of tension that shows Valjean to be constantly in touch with his past, raising the dramatic stakes to strong effect. 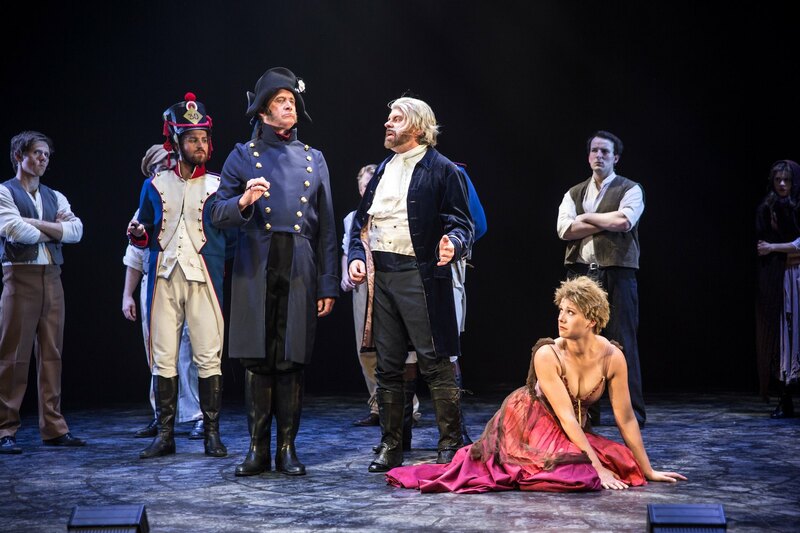 Highly experienced performer Lee Threadgold brings depth and intensity to driven inspector Javert. In a stunning rendition of power ballad “Stars,” Threadgold begins softly, almost under his breath, before rising to the song’s climax. Likewise, Threadgold carefully calibrates “Soliloquy,” his performance enhanced in the end by a terrific lighting effect as Javert plunges into the Seine. Talented young tenor Owen Clarke captures the wide-eyed freshness of Marius, later contrasting this with the character’s darker spirit after surviving the trauma of the barricade. Singing with stirring passion, Giles Adam conveys the indomitable spirit of student leader Enjolras. In most productions of Les Misérables, the role of opportunistic weasel Thénardier tends to be milked to the point of being disappointingly unfunny. 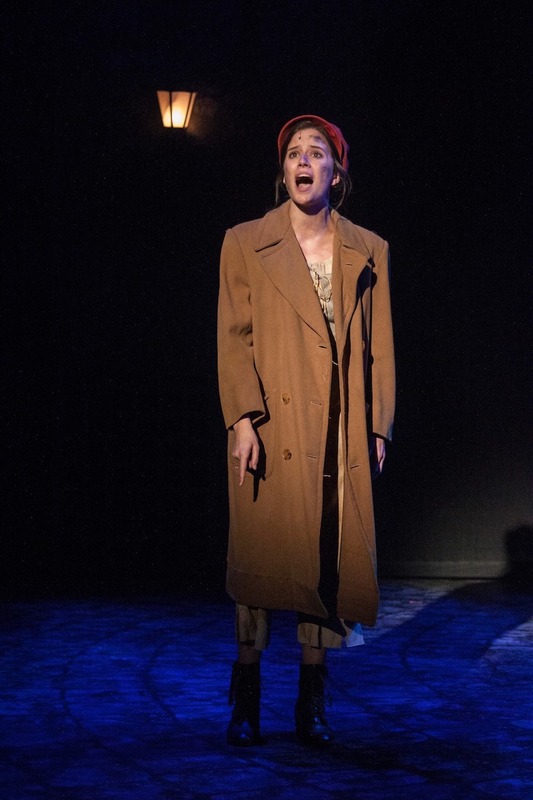 Ashley Weidner manages the near impossible by playing a Thénardier who is very funny but not over the top. Weidner is well partnered by Carol Whitfield as Madame Thénardier, who achieves a similar level of well-judged comic performance. As just one example of the depth of talent in the ensemble, special mention to James Watkinson, as Feuilly, an outstanding singer who clearly could have played a great many of the larger roles. 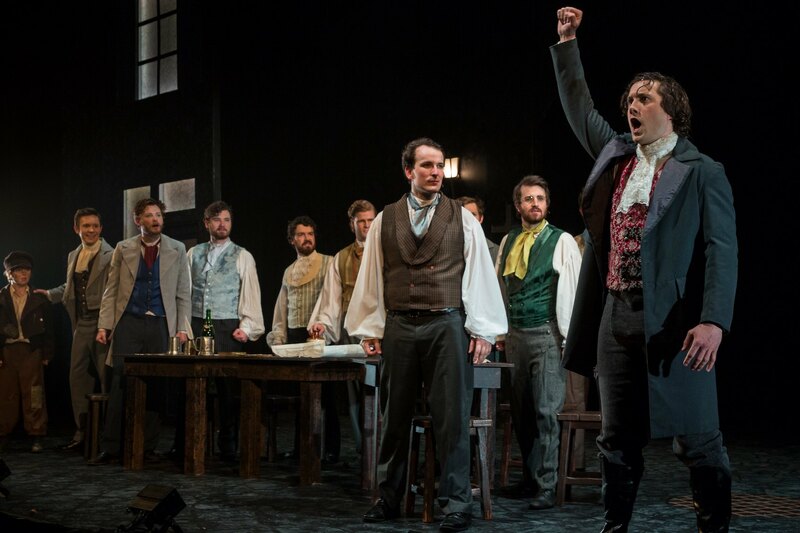 Presuming that any tickets actually remain available, OSMaD’s Les Misérables is very highly recommended. 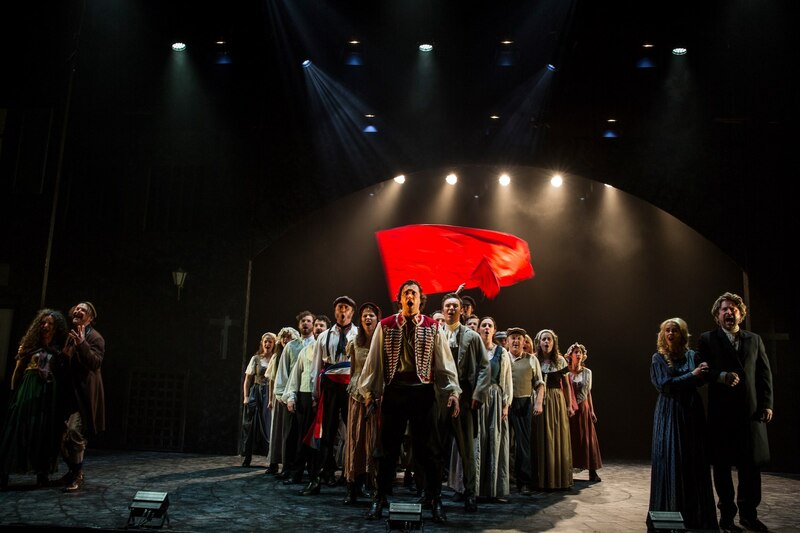 Les Misérablesplays at Geoffrey McComas Theatre, Scotch College, Melbourne until 27 October 2018. I’m soooo tempted to click YES for a trip to Melbourne to catch this one Simon but will have to be happy with your colourful blow by blow description of what clearly is a wonderful interpretation of this stage classic.